Perhaps the most ubiquitous plant associated with the winter holiday season is the Poinsettia (Euphorbia pulcherrima). Yes, holly is sung about in all the Christmas carols while we gather around towering spruces and firs but they are noticeable plants any time of the year. December? 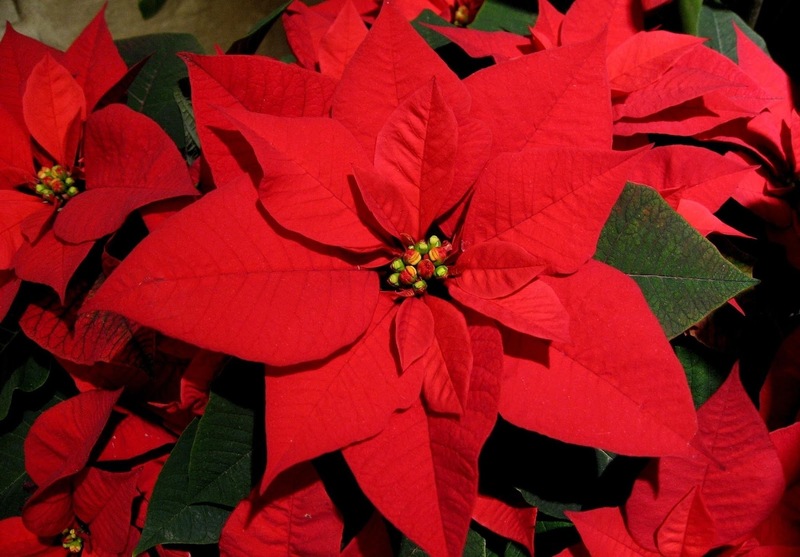 That is when the lowly poinsettia transforms into the iconic red and green adornment of the season. But it’s history isn’t simply a relationship with Christmas. Long before the holiday was celebrated in North America it was used as a medicinal herb. And later on it was taken from Mexico (some say stolen) by a disgraced diplomat before spreading worldwide. So what better time to write of the secret history of the poinsettia? You won’t find any reference to the poinsettia in any of the ancient herbal texts because it was unknown to the western world until the 1800s. Native to what is now Mexico, the Aztecs utilized the plant they called cuetlaxochitle to reduce fever and stimulate lactation. 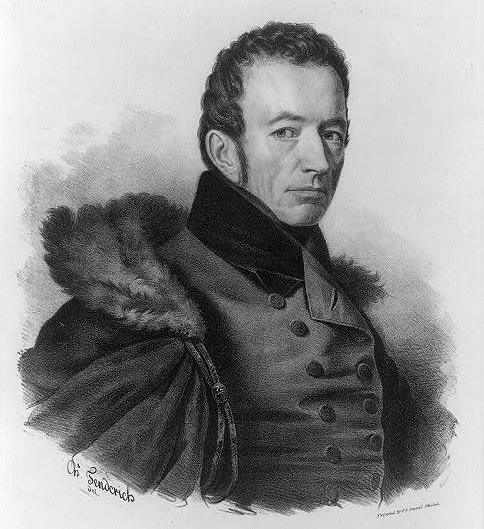 But it wasn’t until 1828 that the American Minister to Mexico, Joel Roberts Poinsett, “discovered” the plant growing in Mexico and sent it back to the United States. Now Poinsett was apparently uneasy to get along with. Historic gossip I’ve heard suggests that he drank and that the red splotchiness of his cheeks was mocked in the association of the red poinsettia bracts to his name. But that is all hearsay. What I do know is that he was so brash and overbearing with his diplomatic status that eventually the Mexican government grew tired of his antics and declared him ‘persona non grata’ which literally kicked him out of the country in 1829. Mexican slang at the time references his behavior as well: the term poinsettismo was coined to characterize officious and intrusive behavior (Encyclopedia Britannica). This is why if you inquirer about the Euphorbia pulcherrima in Mexico, they will tell you it’s name is flor de la Nochebuena – they don’t want to associate the flower with the man we have named it for. In June of that same year, the poinsettia was debuted for commerce in Philadelphia at the first annual “exhibition of fruits, flowers and plants” by the newly founded Pennsylvania Horticultural Society (a yearly undertaking that is now known as the Philadelphia Flower Show). It was introduced by Ann Bartram Carr and her husband Robert who had received some of the original cuttings sent by Poinsett the year before. It was an instant hit and within 5 years, the plant was being bred in Europe as well (Smith, 2014). By the 1860s the poinsettia was a steady selling plant and the Victorian obsession with Christmas solidified it’s reign. Marketing in the 1900s went overboard. The biggest producer of the plant was the Ecke family who in a stoke of business genius began giving the plant away to dress the sets of TV specials, photo spreads in “women’s magazines,” even stuffing the White House full. Now you had to have poinsettias at your holiday to keep up with the Joneses. Ecke Jr. called the editors of publications like Sunset and Women’s Day, convincing them that Christmas trees and mistletoe alone weren’t cutting it for their holiday photo spreads. They were intrigued, but told him that those shoots often took place in summer. However, it must be noted that those red “petals” of the flower are not petals at all, but rather special structures called bracts that usually exist to entice pollinators to visit the flower. The true flower of the poinsettia is the yellow part in the middle of all those showy bracts. These flowers are so small that I am quite sure the Mexican women were referring to an infusion made with the red bracts, just for sheer ability to collect enough material to actually infuse something. In a word? No. This myth has been circulating since 1919 when a child in Hawaii died from eating a plant, but it was a plant that was misidentified as a poinsettia. Should you eat them? No. They apparently taste awful and, while it won’t kill you, it probably will make you feel a little queasy.